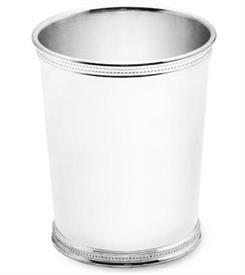 Julep Cups Silver Plated for sale affordable pricing ! 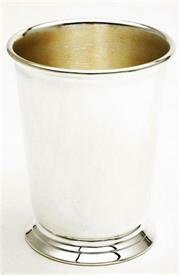 ,_Towle Plated Julep Cup With Beaded Edge. Retail Value $37.50. 3.5" High & Holds 8 Ounces. Only 242 left in stock. 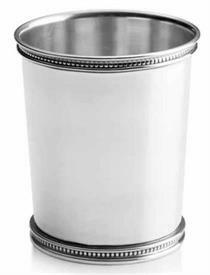 ,21072 Sp Julep Cup 4 1/4" In Height Footed,Plain Sides No Design. ,$R&B #286 Kentucky Julep/Beaker, Silver Plate. 4"Tall 3.25"Wide, Beaded At Top And Bottom.